OVER 55s ONLY! 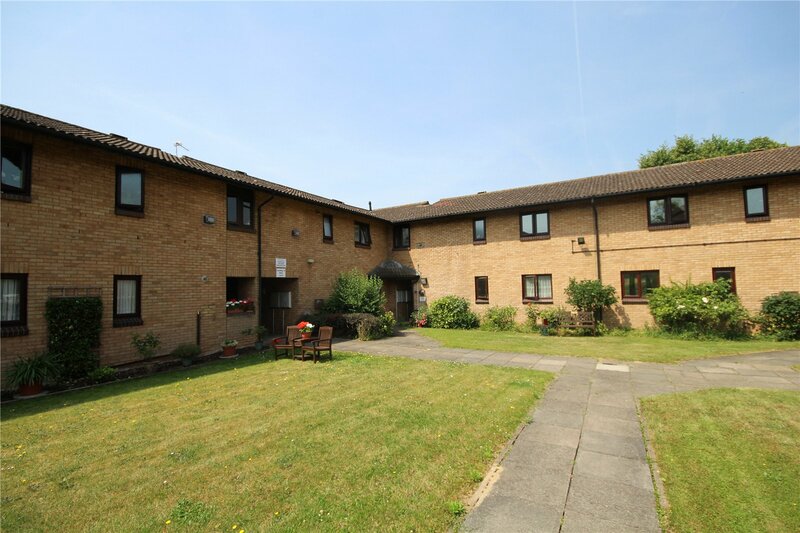 A rarely available 2 bedroom ground floor retirement flat with patio area leading onto the communal gardens. Situated on a sought after development. Entrance Hall: Built in cupboard, wood laminate flooring. Lounge/Diner: 18'5" x 10'5" (5.61m x 3.18m). Double glazed window to side, double glazed windows and double glazed door to patio area, carpet as fitted. 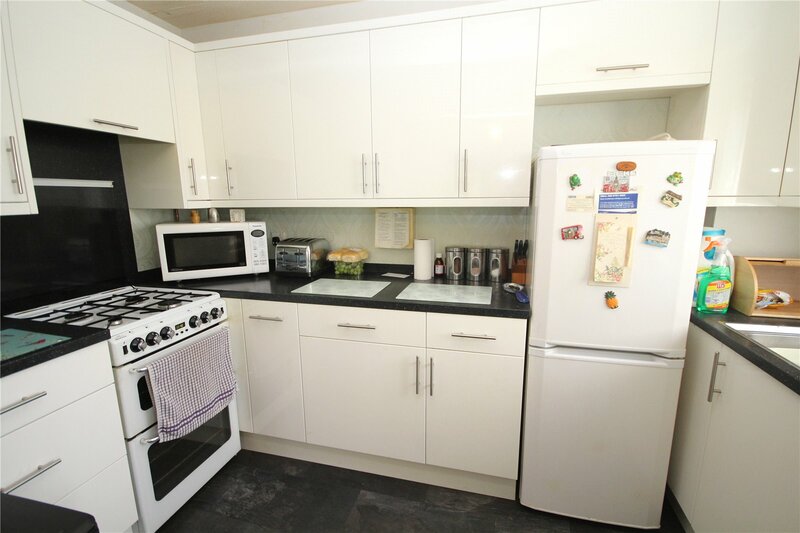 Kitchen: 10'6" x 5'9" (3.2m x 1.75m). Double glazed window, range of modern wall and base units with work surfaces over, filter hood, stainless steel sink unit with drainer, slate effect flooring. Bedroom 1: 14'11" x 8'3" (4.55m x 2.51m). Double glazed window, carpet as fitted. Bedroom 2: 15'2" x 6'1" (4.62m x 1.85m). Double glazed window, carpet as fitted. Wet Room: 7' x 5'11" (2.13m x 1.8m). 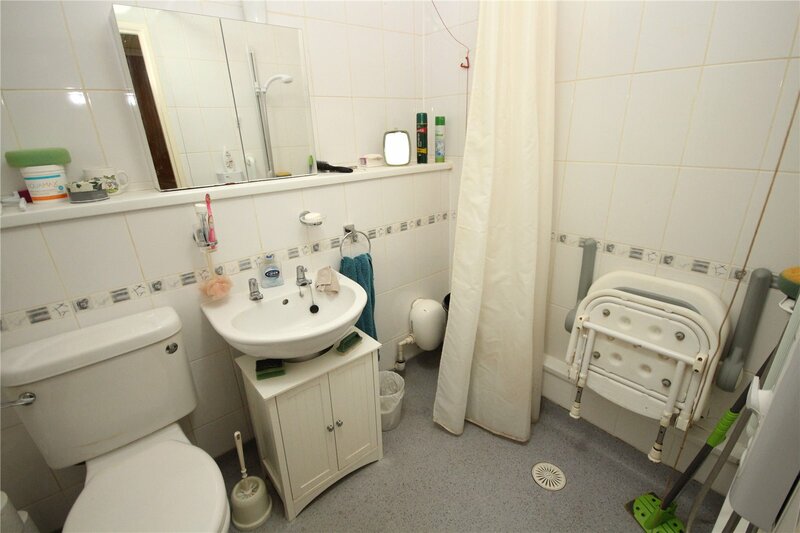 White suite comprising of a wash hand basin and low level wc, shower, tiled walls. 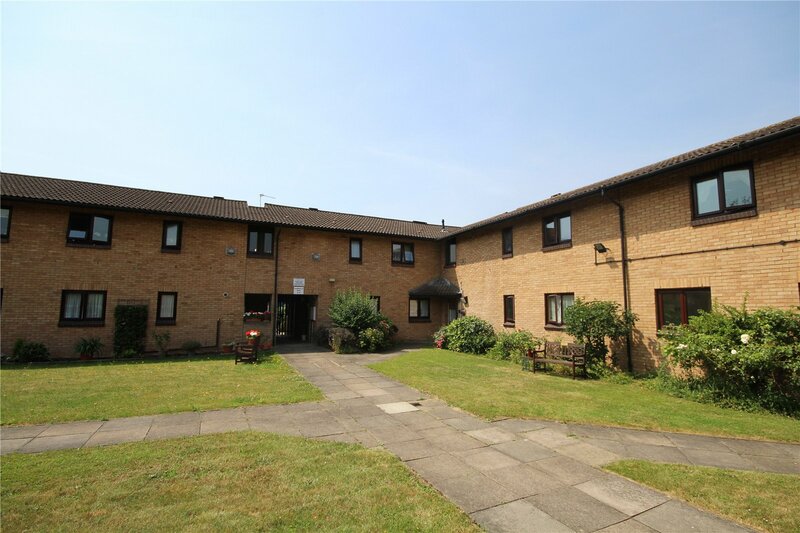 Please note the asking price represents a 70% share (30% being retained by Hyde Housing).